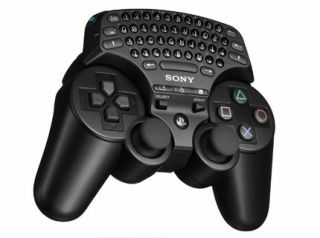 Sony's PS3 wireless keypad, including a laptop-style mini touchpad, is set to launch on the 28November at a cost of £24.99. The device is similar in design to the Xbox 360 controller keyboard add-on, with the key differences being that this touchpad fits above the controller, not below it, so presumably you have to type using your fingers as opposed to your thumbs. The touchpad was first unveiled back in the summer at the Leipzig Games Convention. The touch-pad will hopefully improve the PS3's web-browser experience, as well as making typing out emails and IMs a whole lot easier and more fun. TechRadar will bring you our thoughts on the PS3's new touchpad as soon as we get our fingers and thumbs all over it later this very month.